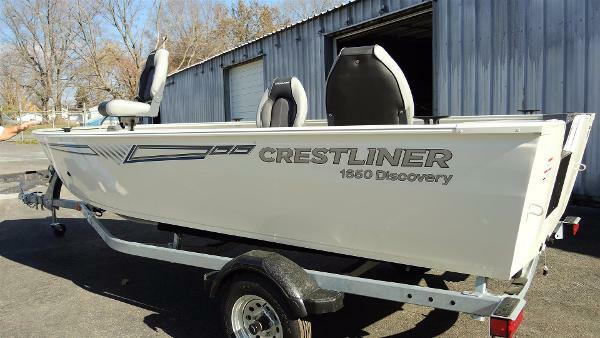 2017 Crestliner 1650 Discovery Tiller For an ideal day on the water, look no further than this deep-v fishing boat. 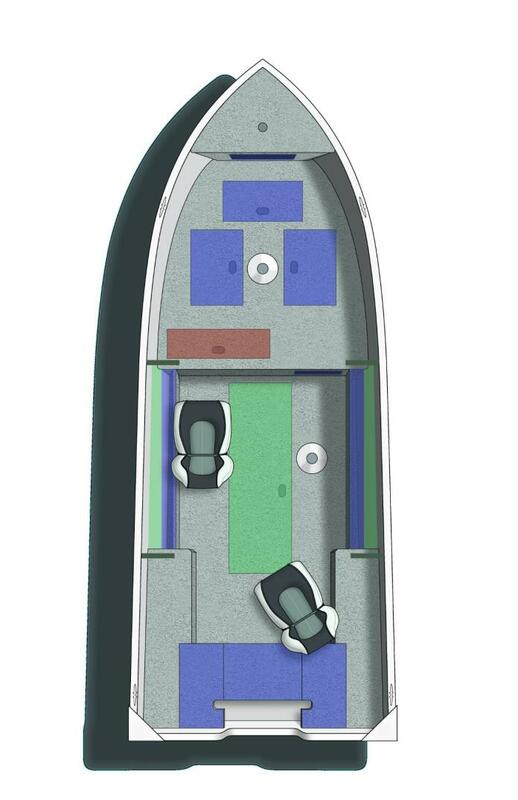 Featuring plenty of livewell room, rod storage and ample room to put your stuff, the 1650 Discovery will help you find that ultimate fishing experience. It also comes with a tiller configuration system, a SureMount gunnel accessory system and plenty of other fish-friendly options that make for a perfect fishing day. Please note: This boat model may or may not be in-stock. A Nationally Advertised Price, if listed, may change without notice or include accessories not fully described herein. Please contact your local, authorized dealer for exact details on model availability and package pricing. 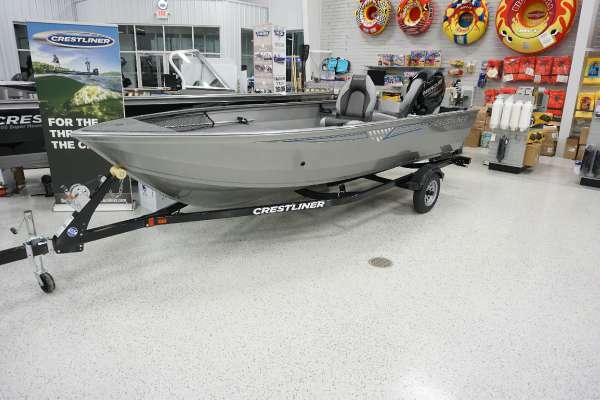 2017 Crestliner 1650 Discovery Tiller For an ideal day on the water, look no further than this deep-v fishing boat. Featuring plenty of livewell room, rod storage and ample room to put your stuff, the 1650 Discovery will help you find that ultimate fishing experience. 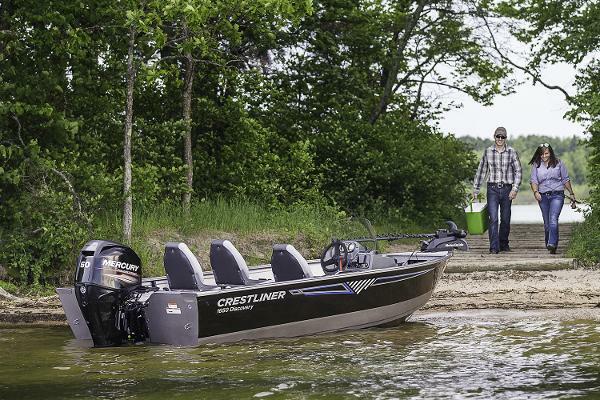 It also comes with a tiller configuration system, a SureMount gunnel accessory system and plenty of other fish-friendly options that make for a perfect fishing day. 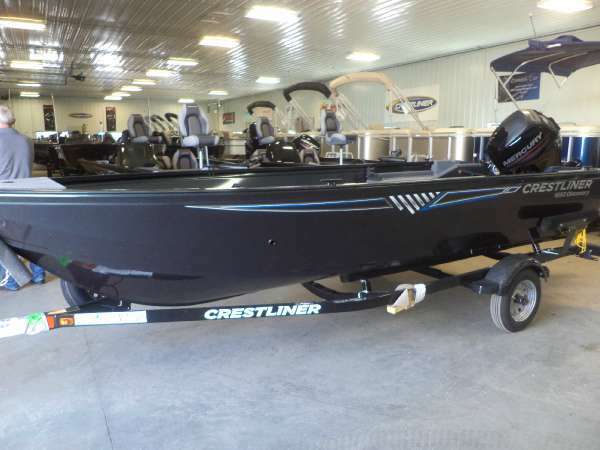 THIS ORDER OUT BOAT PACKAGE INCLUDES: 2017 CRESTLINER 1650 DISCOVERY TILLER, MERCURY 25ELH 4STK MOTOR, (UPGRADE AVAILABLE) 2017 SHORELANDR CRV15 BUNK TRAILER, Please note: This boat model may or may not be in-stock. A Nationally Advertised Price, if listed, may change without notice or include accessories not fully described herein. Please contact your local, authorized dealer for exact details on model availability and package pricing. 2016 Crestliner 1650 Discovery Tiller Start your next adventure with the Discovery from Crestliner. 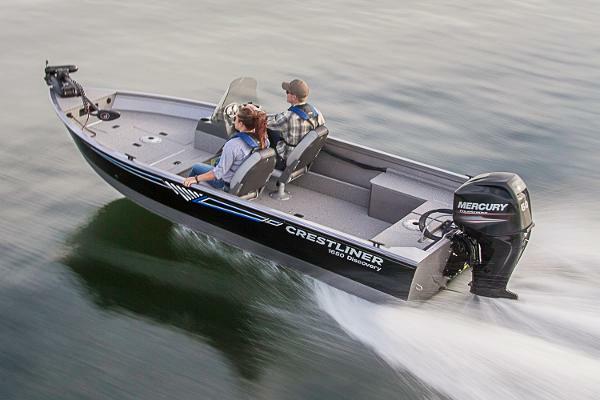 From bow to stern, you’ll find practical and functional features to help you go further, and with Crestliner's all-welded aluminum hull construction you get durability you can count on. Begin every outing with confidence in the Discovery. Please note: This boat model may or may not be in-stock. A Nationally Advertised Price, if listed, may change without notice or include accessories not fully described herein. Please contact your local, authorized dealer for exact details on model availability and package pricing. 2016 Crestliner 1650 Discovery Tiller Heavy duty welded construction. Tiller model, galvanized trailer, Live Well, trolling motor plug, third pedestal seat option and vinyl flooring. Perfect size and weight for a 20HP motor. There's been a resurgence of interest in tiller steer models. There is more room inside without the console. Thanks for looking ! 2016 Crestliner 1650 Discovery Tiller CRESTLINER REEL DEAL SALES EVENT! REBATE ALREADY SUBTRACTED FROM SALE PRICE! FREE CUSTOM TRAVEL COVER INCLUDED IN PROMOTION! HURRY SALE ENDS SOON! 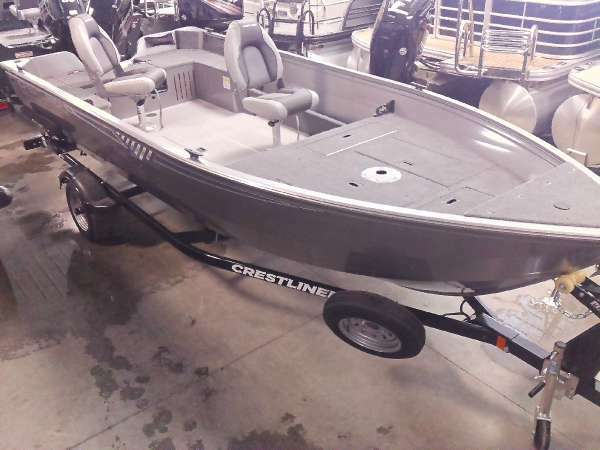 THIS NEW BOAT PACKAGE INCLUDES: 2016 CRESTLINER 1650 DISCOVERY TILLER, MERCURY 40ELHPT 4STK MOTOR, 2016 SHORELANDR CRV15AL TRAILER, VINYL FLOOR FOR COCKPIT, BOW CARGO NETS, TRAILER TIE DOWNS, AND STARTING BATTERY. - CRESTLINER REEL DEAL SALES EVENT!